First birthdays are so much fun! They are a reason for celebration! Be sure to capture that celebration with professional photography. There is no better way to capture your child’s first birthday then with a cake smash session! Cake smash sessions are done in the studio based in Ashton under Lyne, Greater Manchester. 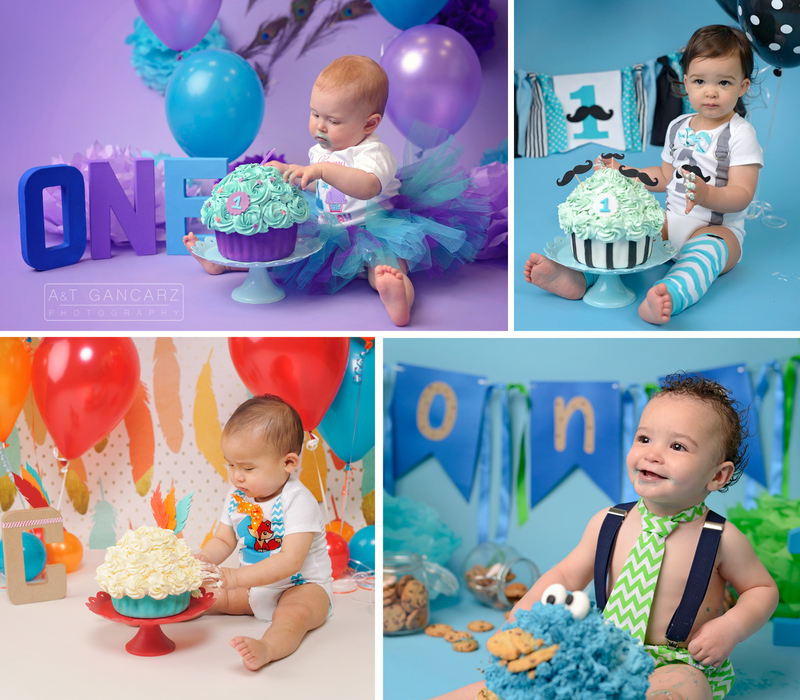 For a cake smash session you take a one-year-old, give them a large cupcake, place them on a custom-designed backdrop, and you just let them have some fun! It is a guaranteed good time for the child and also for the parents watching! Afterwards, you will walk away with some amazing pictures that you will cherish for a lifetime. Cake smash sessions are a blast for everyone and they make for priceless images. These images are frequently used by clients on birthday invitations, thank you cards, or printed in a professional album. 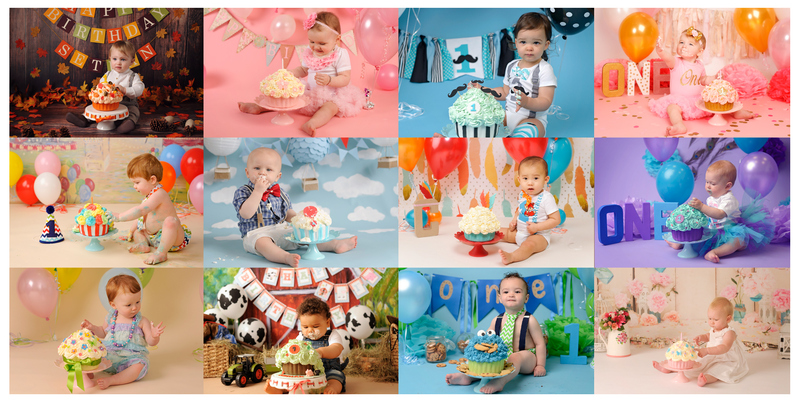 Each cake smash session comes with a custom designed backdrop based on your child’s outfit or birthday theme. The cake can be ordered trough us, or you can bring cake with you on the shoot day. We supply all props, but if there is anything you’d like to use please bring it with you (party hats, balloons, bubbles, buntings). We take photos of the cake and your baby before the smash, during and afterwards! The expressions are priceless! Some little ones totally smash the cake others are just curious! If you would like to book your CAKE SMASH session or if you have questions don’t hesitate to contact us.